When you have an inflammation that persists to occur on your gum, it is possible for this inflammation to create puss that may lead to the formation of a puss corridor. Eventually, the corridor reaches the surface of the gum, appearing as a gum boil. Fistula on gum—also known as gum boil, occurs when this corridor is lined with certain types of cells the body produces when fighting the infection. 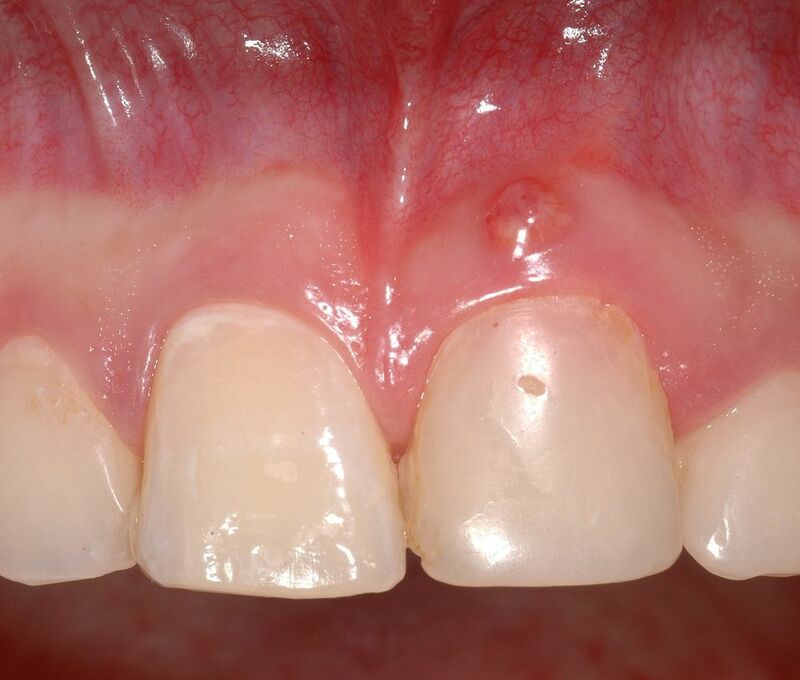 This appears as a bone defect on a tooth that may grows worse overtime.